Speaking of epic music videos.. When I saw this, I sat there for awhile thinking “did that really just happen”? I never got the monkey+OK Go vibe from this song, but apparently Bruno did. I love 1-take, continuous dance music videos, and this one is just so goofy that it’s amazing. Hilarity ensues in Bruno’s new masterpiece. I LOVE this song because I agree with it. Wow. Nice. 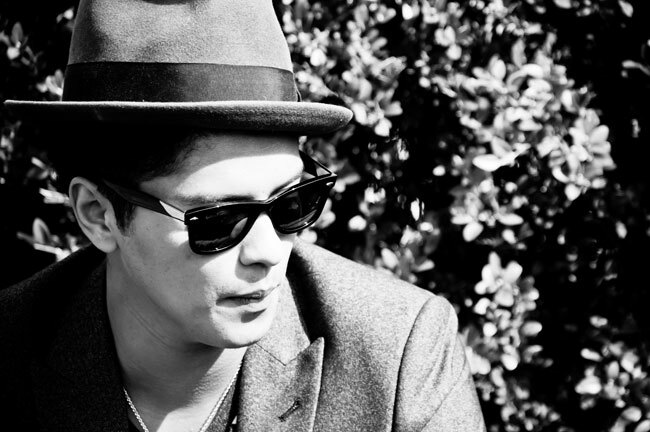 Here is the debut single/leak off of Bruno Mars’ upcoming album. I’ve been waiting awhile to hear Bruno Mars doing his own thing. You know Bruno as the singer from B.o.B’s “Nothin’ On You” and Travie McCoy’s “Billionaire”. This song has great lyrics, makes you feel good, and is an all around good pop song. He’s a very talented singer & musician and is also adorable. I’m expecting great things from Mr. Mars, I hope he lives up to my expectations. I think he will. Here’s my favorite little Go-Guetta again producing a track for Bruno Mars. You know Bruno Mars from his vocals on “Nothin’ On You” by B.o.B, and if you don’t know that song GET A RADIO. This song is pretty good but can get a little redundant, and for some reason reminds me of an eighth grade dance scene. Don’t look at me like that, I don’t know why I’m picturing this. Just listen, and sway.